The Glen Helen Eco-Resort is located in the West MacDonnell National Park, west of Alice Springs in the Northern Territory. 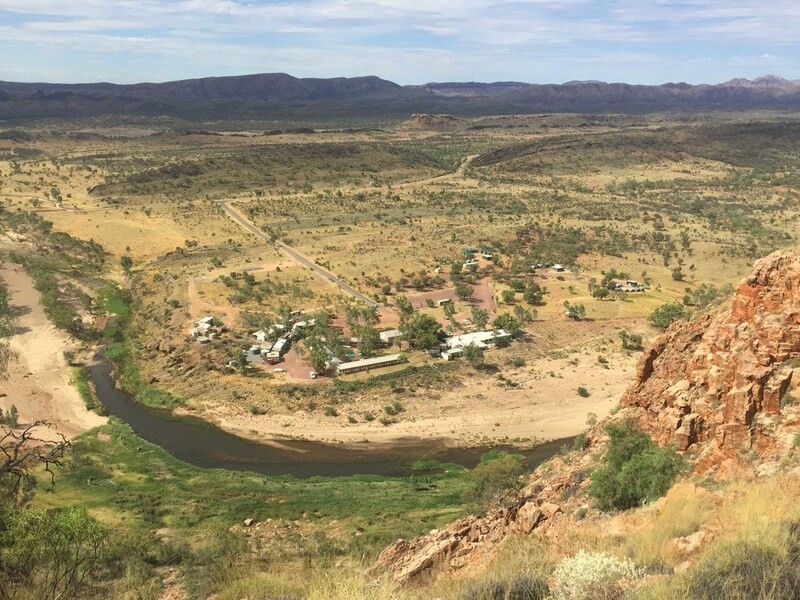 After the success of the Ormiston Gorge project for National Parks, The Ngurratjuta Corporation engaged Dunn & Hillam to masterplan and reinvigorate the site as an eco resort worthy of its spectacular location. Rural architects - those with an affinity for the stark beauty of Australia's rural and remote landscape - bring a unique empathy to the design process required for a project like this. The new resort will include a mix of high end facilities for international and local tourists – 64 hotel rooms, four villas, a restaurant and other facilities, - plus a new take on the traditional Australian ‘stockmans quarters’ and campsites for tent camping. The resort will also be designed with local residents in mind, with facilities for weddings and events, so guests can stay overnight. Phase 1: The new terrace facing the sandstone bluff at the rear of the homestead has been completed.